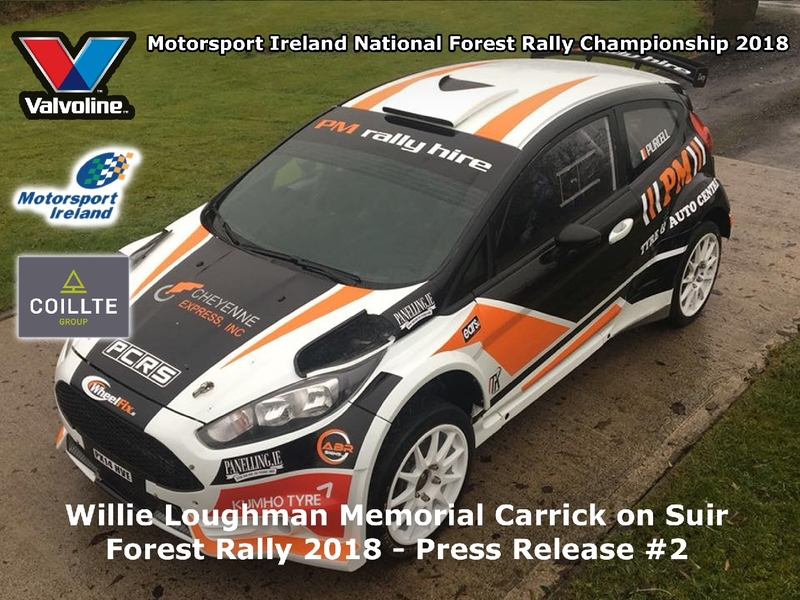 Home » News » 2018 » Josh fights back in Round 2 at the Treaty Plant Hire Limerick Forest Rally! 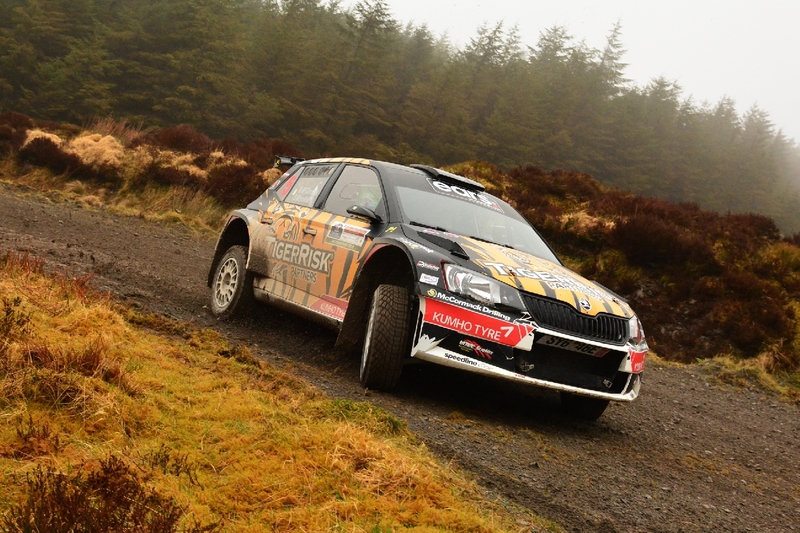 Following the postponement of the Treaty Plant Hire Limerick Forest Rally from three weeks ago due to storm Emma, there were no such dramas this time around for Kieran Ambrose and his team and a very healthy 82 cars made it to the start. 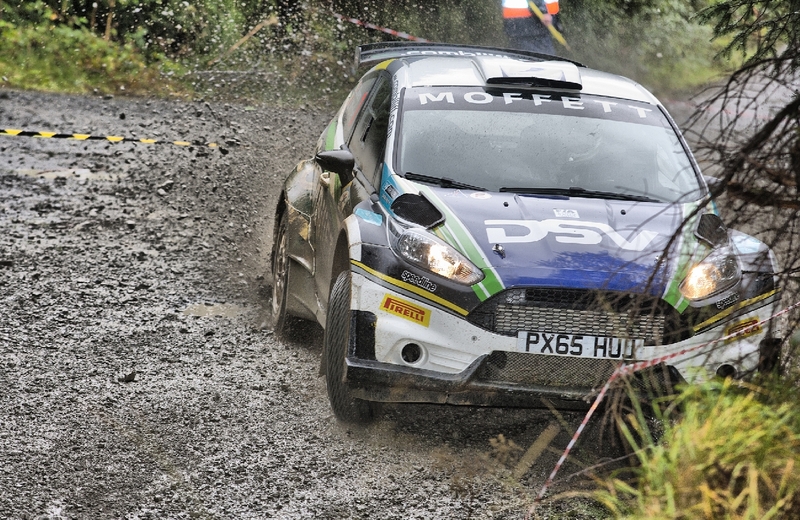 Josh Moffett & Stephen Thornton in a Ford Fiesta R5 got their season back on track by winning the event but it wasn’t as straightforward as it might have seemed. Andrew Purcell / Mark Wiley and Barry McKenna / Leon Jordan made it a Ford Fiesta R5 top three starting the event and there was very little to choose between them. 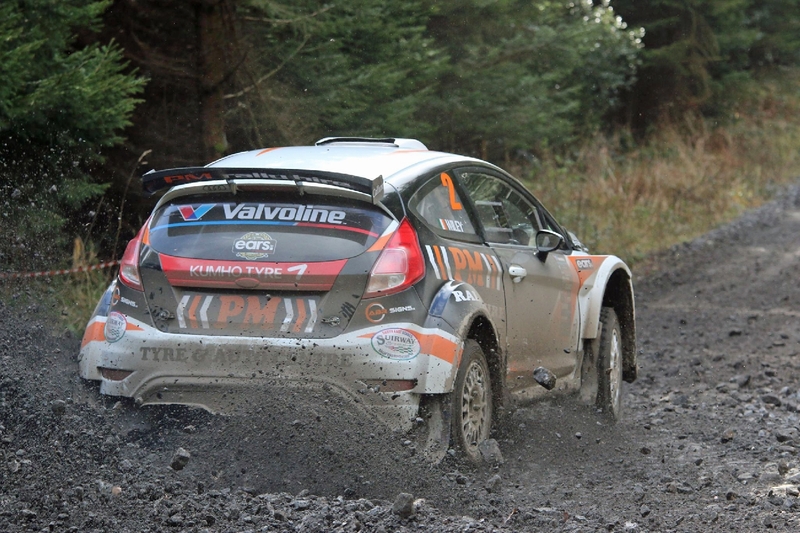 Purcell and McKenna were first and second on the previous round and started in a similar fashion in Limerick. Moffett found himself in third place some 17 seconds off the pace on the opening test as Purcell put the hammer down while McKenna was 11 seconds back in second. Moffett settled down after that and the top three at the half way point showed things to be a lot closer. Purcell’s lead had been cut to three seconds from McKenna with Moffett the same margin back in third. 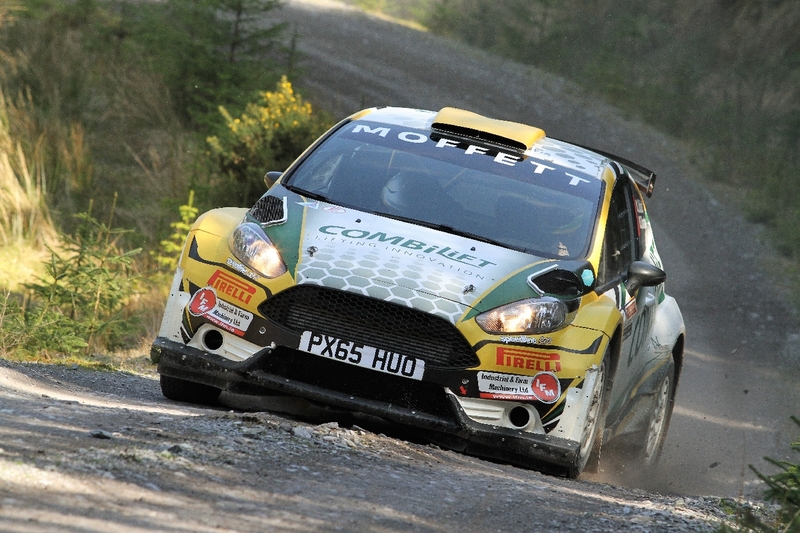 Moffett then pushed on the next pair of stages to move in to second place after Stage 5 and took a lead he was never to lose on the sixth test when Purcell picked up a puncture. This cost Purcell over 40 seconds and dropped him to third place. The top three remained static for the remainder of the event with Purcell taking two fastest times but unable to make up the deficit. Cathan McCourt had an excellent run after his early retirement on Carrick to take fourth place in his recently acquired Citroen DS3 R5. 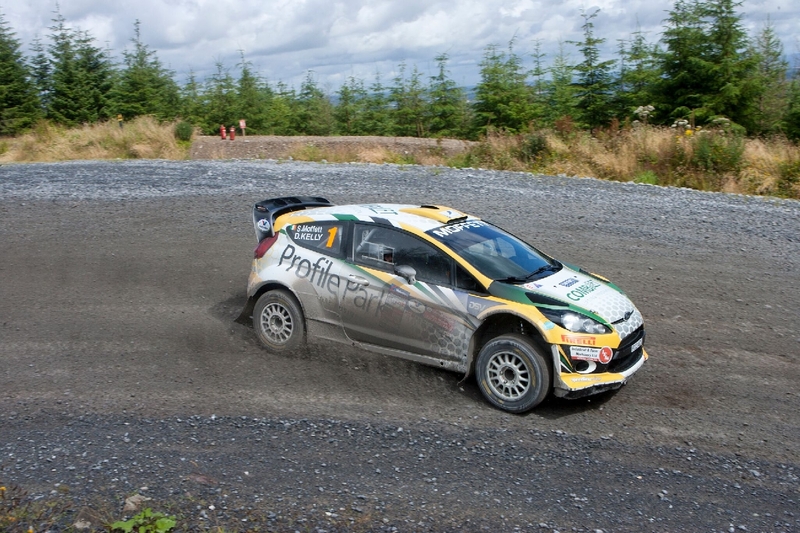 Stephen McCann in his Fiesta S2000 and Gerard Lucey (Lancer) completed the top six places. Other than Crossen & McGirr the other top ten finishers were Donall Sweeney in seventh overall and John Byrnes in ninth both in Mitsubishi Lancers. 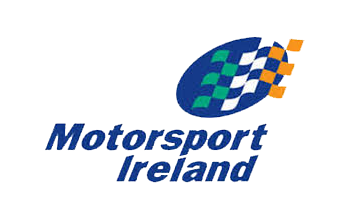 The 2WD category saw David Crossen recover from the disappointment of an opening stage retirement in Carrick on Suir to claim top championship points in Limerick. The Co. Down driver was never headed in the class all day, even holding a top six placing for a while. He eventually had to settle for eighth place as Shane McGirr also had a fine run to finish only fifteen seconds behind. McGirr who finished in tenth place overall was another looking to make up for not scoring on the opening round and he held off a strong challenge from Mickey Conlon who still provisionally leads the 2WD category. Tommy O’Connell retired midway through the day when the car was down on power and it too much time was being lost. Other retirements during the day included the Escorts of John Gordon and David Condell. 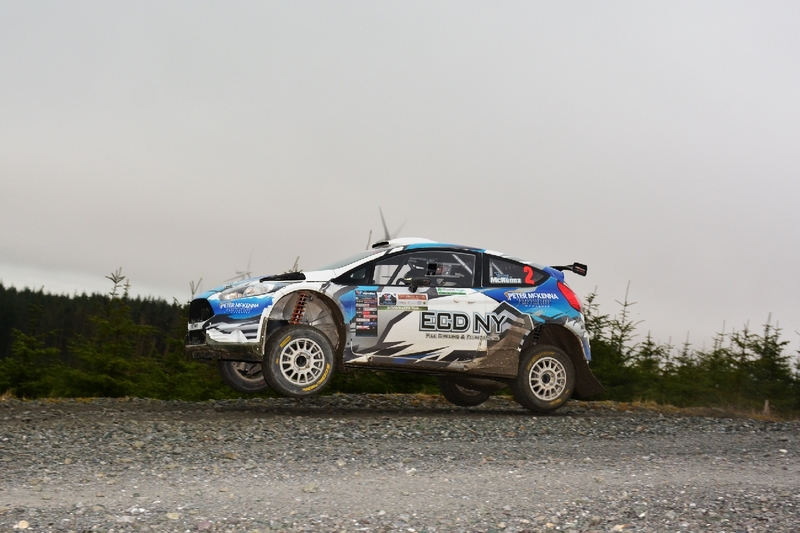 The Junior Championship opening round had seen James Wilson take top points as he defied his lack of experience of loose surface rallying to come home as top Junior while some of his rivals fell by the wayside. This time it was the Keady driver who hit trouble early on when he slid off the road and had to re-join the event in Rally 2 before retiring for good on the third loop. Marty Gallagher & Dean O’Sullivan had retired on the opening round but were on form in Limerick as they led the class all the way through the event eventually finishing an excellent 12th overall. 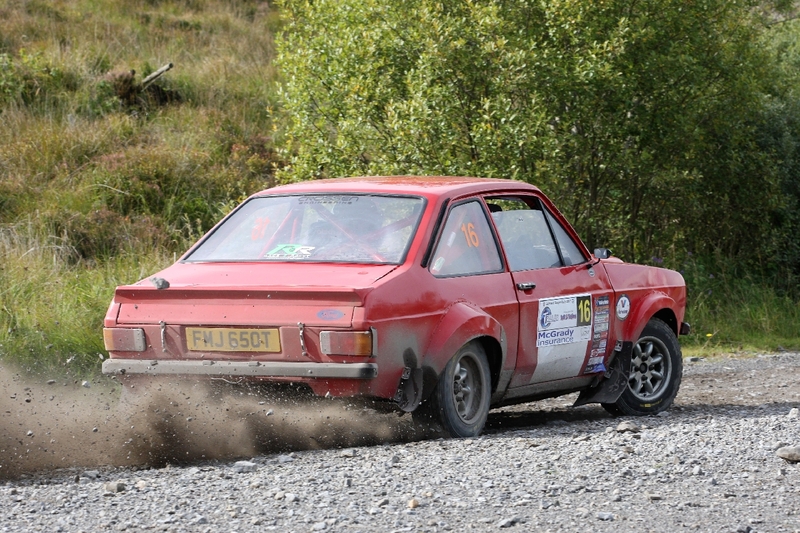 Derek Mackarel and Daire Hayes in a Vauxhall Nova put on a very late charge to finish fourteenth overall and just 12 seconds behind Gallagher by the end, as the category begins to heat up. 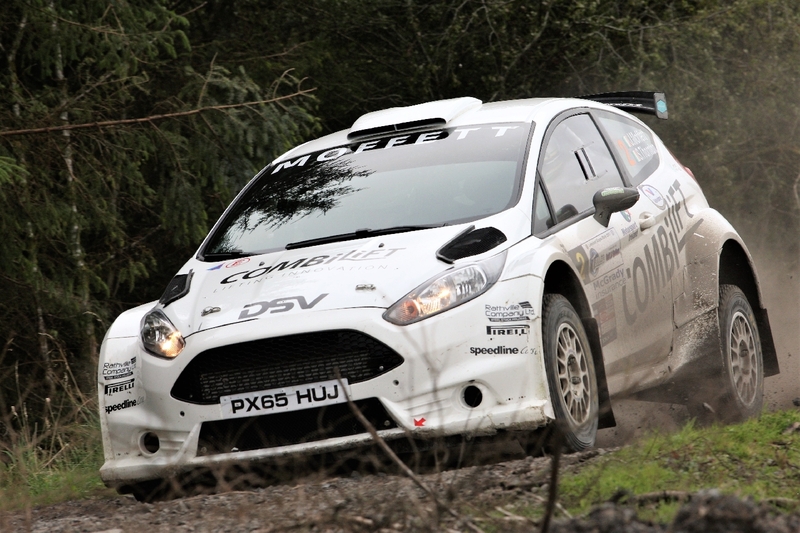 John O’Sullivan in a Fiesta R2 took third place to go with second place on the previous round to move into the championship lead. Jordan Hone was another who needed a finish after retiring on the opening round and he took fourth just 1.2 seconds behind O’Sullivan. 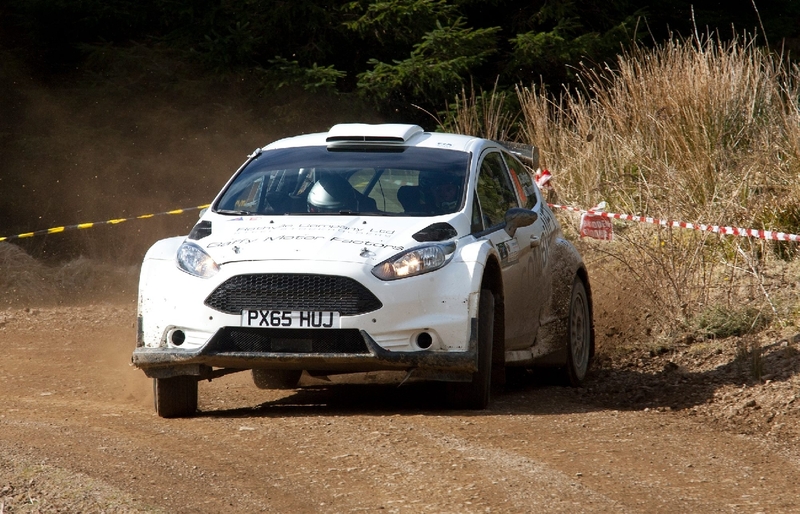 The final three finishers in the juniors were Jody McManus, Ian Dickson & Jenna McCann all in Fiesta R2s. 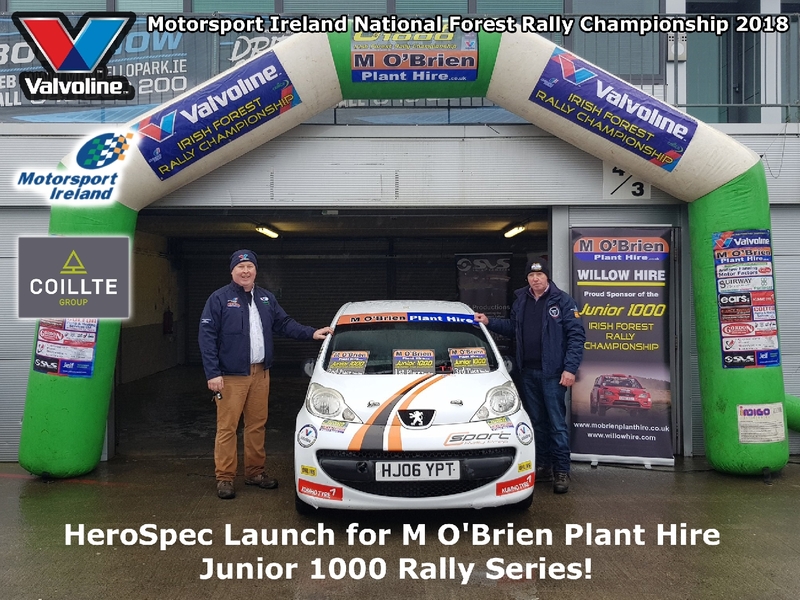 The Junior 1000 Championship sponsored by M. O’Brien Plant Hire saw Jason Murphy continue his excellent run of form. The Mayo driver who won last year’s championship led his class from start to finish in his Peugeot 107 to make it two maximum scores from the two rounds completed to date. He was pushed much harder this time round though with Peter Beaton from Scotland in a similar car keeping the pressure on as the event wore on. 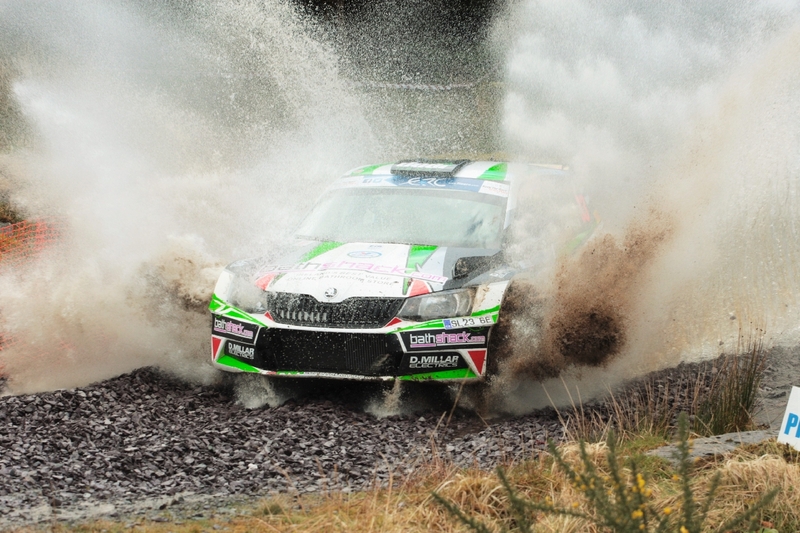 Beaton finished second in the class just eighteen seconds behind Murphy, which makes the next round, the Moonraker Forestry Rally in Cork even more intriguing. 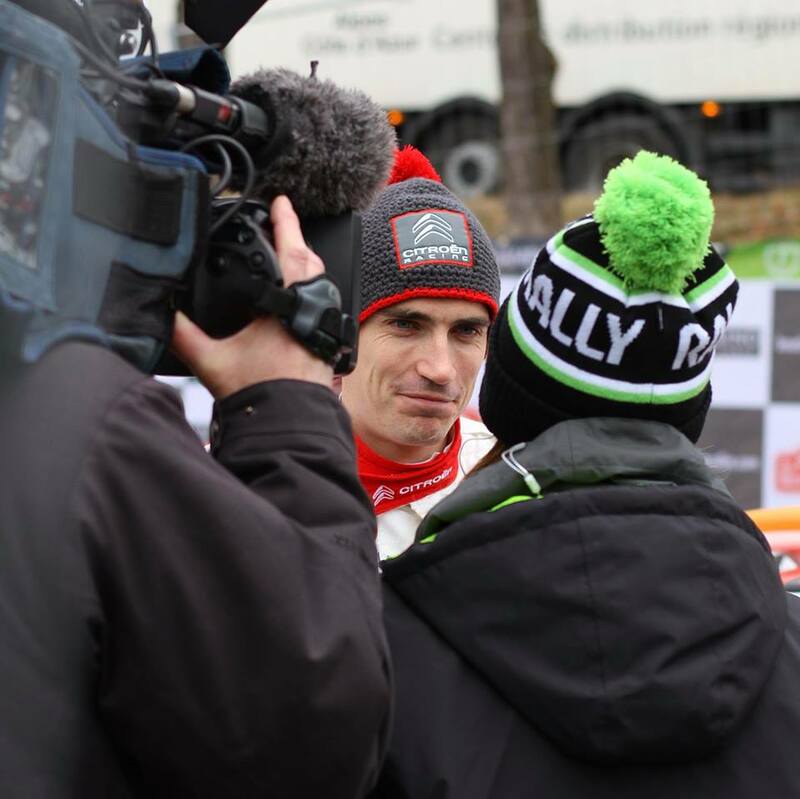 Aoife Gahan made up for the disappointment of a non-finish on the opening round to take third in class in her Chevrolet Spark while Rory Byrne was making his first appearance of the season to finish fourth in class in a Citroen C1.